Bonita Bay: Beautiful lake front property in Oak Knoll, this Florida Style home built with concrete foundation and concrete floors is primed for an upgrade, the current house meets the minimum elevation requirements so no FEMA limitations on a renovation budget. As the Buyer you are acquiring a home situated on a grade "A" waterfront lot in one of Florida's premier luxury golf club communities. Come and take a look at the tremendous potential this property offers, visit with the professionals at Harwick Homes and learn what kind of personal touches can be included. Tropic Acres: A rarity in this location... Dual access from Shangri-La Road and Red Dragon Lane. The property is very near the new Bonita Springs High School with quick access to Imperial Rd as well as Old US 41. Hurry, this will go quickly! Caugheys Ranchettes Unrecorded Subdivision: Beautiful acreage with stunning views and even an eagles' nest ! Located in a Ranchette style neighborhood with plenty of privacy. Property is bounded to the North and Western most side by Lee County's pine Island Flatwoods Preserve. Don't miss your chance to own this special property. Available lots in this neighborhood are moving fast. Buy the 5 acre lot ( Eastern side of track ) for $210,000 or will sell the 10 acre lot ( Western side of track ) for $450,000 and the entire 15 acres for $625,000. Seller reserves right to close as a 1031. Winklers: DIRECT GULF FRONT!! 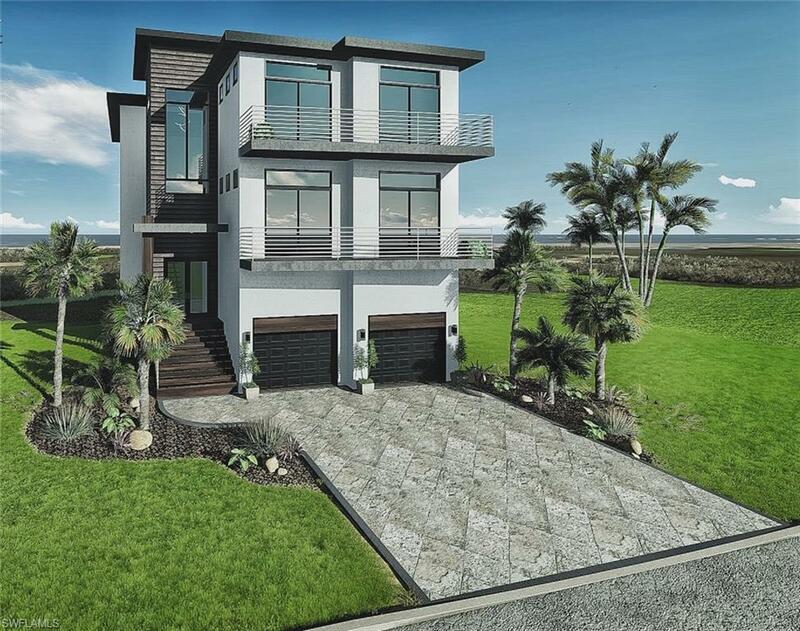 This magnificent home is located in one the most desirable section on Fort Myers Beach, nestled on a quiet small street with only a few houses.The beach front has just the right amount of sand between the house and the water to give the perfect amount of privacy. The home is perfectly placed just close enough to the down town but also just far enough so its quiet. Not Applicable: Lot 1A, 1+/- acres, with 190’ frontage on Joel Blvd, 250’ on Greenbriar Blvd and 190’ on Olsen Lane, located just south of the newly built Family Dollar, who paid $4.18 PSF for the land on 8/2/2016. Gateway to the Greenbriar residential community to the west with its supporting roof tops. The 625 acre Harmony State MPD for 1,750 dwelling units, 280,000 sf retail and 80,000 sf office buildings, sits just 1/4 mile south of this parcel. The following parcels by the same owner, on Joel Blvd, are also available for sale: Lot 1: 3.04 acres, Strap 03-44-27-03-00000.0010, for $500,000 at $3.78 PSF Lot 2: 5.5 Acre, Strap 03-44-27-04-00000.0020, for $950,000 at $3.92 PSF Total will be $1,630,000 with a bulk sales price of $1,400,000 at $3.37 PSF. Acreage: Imagine this lovely rural setting among many estate sized homes within 4 miles of Fort Myers in Lee County, FL. This acreage allows equestrian lovers to share the joy of riding/jumping horses on a 3 acre grass derby field (with a 2 step bank) or the perfect footing, lighted, Grand Prix Ring. The adjoining five acres on Carousel includes the main home, stables, barns and a rental apartment, plus paddocks for turn out & is being sold along with this Bromley property. The two 5 acre parcels could be purchased separately, but it is preferable to keep them together for $1,400,000. Don't miss the opportunity to own this versatile homestead/investment property - Wonderful opportunity for someone looking for acreage and who wants to raise or board horses. Perfect for the boarding business, or for one who loves to tinker or build things. The property may even be divided and rezoned as a residential development. Check out the additional photos & aerial tour of all 10 acres. Bonita Springs: REDUCED! Rare opportunity - Trieste Preserve - 18 acre community is ready to go! 14 one acre lots platted and addressed, UTILITIES IN, STREET IN, ENTRANCE MONUMENTS IN, approval for entrance gates. Buy and start building. Note: although it is possible to increase the density the property is being sold as permitted - price has been reduced effective March 1 2018. Close to Coconut Point, new high school and all Bonita Springs amenities. Don't miss the opportunity to purchase this well known highly profitable marine contracting & dock building business. Sale includes all equipment, barge, truck & trailers along with this 13000 sq ft income producing lot with 4 rented boat lifts & 1 rented wet slips. Johnsons Subd Bocilla Isld: Location,Location,Location ! ON the north end of Bokeelia between Charlotte Harbor and Bocilla Back Bay. this property has 110 ft. of sea wall and a private dock over looking the bay This over-sized lot with room for a pool and landscaping Zoned c-2 which allows for multiple town house or a bed and breakfast. This is the only buildable residential property on the back bay with views of the bay and port charlotte. 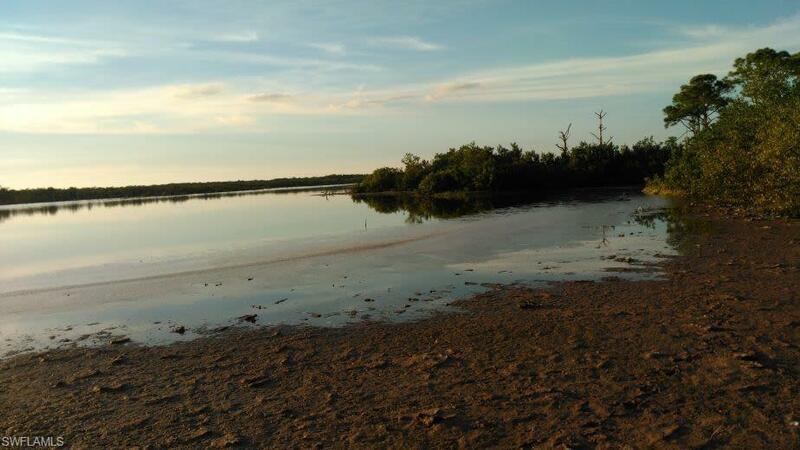 this property comes with a unique opportunity to purchase a private Island on the back bay just a few hundred feet from the property at a separate price of $29,000. owner said sell now NO Reasonable offer will be refused time to make the best buy on Pine Island. Estero Bay Shores: This beautiful lot is ready for your dream home!! Rarely available, quarter acre in the highly desirable community of Estero Bay Shores! No HOA fees here! You can build up to 35', the perfect height for watching the gorgeous sun set over the Gulf of Mexico. Paradise awaits on this quiet street away from it all! Not Applicable: L. 1418 - 18+ cleared acres currently leased for Agriculture. Great site for future development with frontage on Bonita Grande Road and future Hwy 951 extension (Logan Blvd) from Naples to Fort Myers. Property is adjacent to the BG Mine entrance, which could someday become an upscale lakeside community. Re-zoning is currently under study in the City of Bonita Springs for East Bonita Springs zoning changes. Also, adjoining acres may be available for purchase. Cape Coral: $100,000 price reduction! This home is a show stopper! This is truly one kind home. Built by and designed by an Italian Mastercraftsman, all of the wood in the home was hand carved in either Cherry or Mahogany wood. The incredible dining table was modeled to replicate "The Last Supper". His work is also showcased in an art gallery in Rome and also, in the Vatican. The kitchen has gorgeous granite counter tops, center cooking island and a large hammered copper stove vent Wainscoting throughout the home was all artistically hand carved and furniture matches the intricate detail. The working fireplace is a work of art. The spa like master bath is truly luxurious. The ceilings are a masterpiece by themselves with six 20" deep trays with hand carved crown molding. All lanai doors pocket, the huge under truss lanai has an outdoor kitchen and pool bath. The pool has an electric pool heater, fiber optic lighting and spa! There are brick pavers surrounding the home, a paver driveway and pool area. 50 exterior automatic lights come on at night! Check out our virtual tours!! You truly have to see this home to believe it! Sunset Cove: This 2 bed, 2 bath home is located in on a beautiful street off of historic McGregor Blvd on a direct gulf access canal. It has been updated since it was built in 1968, updates include new kitchen with Quartz countertops, new appliances, cabintery; Pergo flooring in kitchen, main living areas and bedrooms, Impact windows and slider doors, and new roof in 2000. The house has an extra large/extended dining area with access to the screened-in patio. Access to the screened patio is also from the living room. Patio leads to the water. The master bedroom has a large walk-in closet with solid wood shelving. Master bath has dual sinks. Guest bedroom has a cedar walk-in closet. The driveway is extended to provide additional parking on the side of the house. This is a potential short sale. Cape Coral: Priced to sell! Southern exposure, sailboat access 4+/4/3 home built in 2007 and recently substantially updated. Walk to Rumrunner/Cape Harbour. A honest 15 minute boat ride to river and 30 minutes to Sanibel bridge (you can not get there much quicker anywhere in Cape Coral). Home features the Florida lifestyle desired with open floor plan and 3 large lanais (with retractable storm shutters and screens) to entertain your family and friends. Updated chef's kitchen featuring 48" gas stove with dual ovens, beautiful granite and self-close, wood painted cabinets. The second floor media/family room provides additional living space. SOME of the MANY other features are resort style pool/spa (electric and solar heated, and salt water system) with travertine pavers. The 1st floor owner's retreat features hardwood flooring, his and hers walk in closets, soaking tub, walk in shower and dual vanities with granite. guest ensuite (2nd master), tray ceilings, crown molding, manabloc plumbing, 25,000# lift with composite decking and boat cover, plus tiki hut, summer kitchen, and wind rated windows. Call today for a showing. Bella Terra: The popular Azalea floorplan on the second floor with vaulted ceilings, 2 beds/2 baths and over 1,000 square feet and screened-in lanai to relax in. Eat-in kitchen as well as breakfast bar and pantry. Master Suite gives bay window views, as well as a large closet and walk-in shower. Unit has hurricane impact windows and sliders. Great Condo for retirement, new families, or rental investments! This Barletta Lane condo is located in the highly desirable Bella Terra community, which features a resort-style pool and spa, tennis courts, volleyball and basketball courts, soccer fields, playground, fitness center, and much more... the Barletta condos even feature their own pool and separate storage! Close to everything: minutes away from I-75, SWFL International Airport, Gulf Coast Town Center, FGCU, Coconut Point Mall, Miromar Outlets, Hertz Arena, top rated schools, and some of the best golf courses, restaurants, and beaches that Southwest Florida has to offer! Vacant and easy to show! Agents please see confidential comments. Paseo: Wow, Seller's loss is your gain! Dramatically less than seller paid for this property which is in like new condition! And Seller is looking for offers! Absolutely has it all! Magnificent townhome overlooking Paseo's largest lake and beautiful, illuminated fountain; walking distance to Paseo's award winning resort facilities; and wonderful furnishings downstairs that were all hand picked for this property. Paseo was voted Community of the Year nine years in a row with its resort style pool with Tiki Bar and Tiki Huts; Sports Bar and Pub; Billards; Movie Theater; fully equipped gym; 6 har try tennis courts; Bocce Ball; Pickle Ball; Basketball; and Beach Volleyball! Live the vacation lifestyle all year long! Seller's loss is Buyer's gain. Own this property for significantly less than Seller paid plus own the beautiful furnishings as well. Westminster: Price Improvement!!! No/low maintenance twin villa. Enjoy beautiful sunrise views over the 14th fairway from your extended lanai and living room. This 2+den 2 baths 2 car garage twin villa is located within 24-hour guard gated public golf course community. Not far from I-75, the airport, baseball stadiums, and downtown activities, this community offers activities for everyone. 30 minutes to the Beach. The golf course is pay as you play- no mandatory golf course fees. Exterior maintenance is included in Governor's Run Association fees. Sellers will consider FHA mortgage assumption at 3.9% to qualifying buyers w/ cash to make up the difference.